I'm looking for histories of Irish nationalism/rebellions prior to 1798, books which explain the events which brought about/maintained the subjugation of the Irish. I've been googling etc and two which keep cropping up are The Green Flag: A History of Irish Nationalism by Robert Kee and Modern Ireland, 1600-1972 by R.F. Foster. Anyone read these? They worth the time? I'm also looking for a good book on the famine. Any ideas? This thread could also be used as a place to review/recommend books on any aspect of Irish history. This is a fantastic read and utterly reveals just how ruthless and harsh the IRA were and had to be at times. This is one of my favorites, very well written and easy to read, gives you a great insight into the mentality and attitudes of people at the time as well as the organization of the IRA. This book is absolutely essential reading imo. Not only does it give you some of Tone's best writings, the book is worth the price for the introductory essay by Jack Bennett alone. Can't speak highly enough of that essay, tackles some of the sticky issues which are often avoided by republicans head on. It's a hard read and the author goes deep into conspiracy theory territory at times with some frankly off the wall conclusions. If you can overlook that as well as his time-line of events being a bit off it's a fairly comprehensive and informing read. Pinch of salt essential however. I haven't read Tim Pat Coogan's book on the IRA, if anyone has read both, how do they compare? What it says on the tin, a collection of some of the finest speeches spoken by Irish patriots such as Emmet, Tone, Sheares brother etc while they were in the dock, inspirational stuff. JJ Lee's book 'Ireland 1912-1985: politics and society', is a good starting point for the history of the country in the 20th century and his study of the institutions of the Free State is remarkable for the similarities in how it operated then and how it continues to today. Lydon's book 'The Lordship of Ireland in the Middle ages' is a good introduction to Ireland and the Lordship until the Tudor expansion, and provides some interesting contextual analysis and evidence to suggest that a form of feudalism was developing in Ireland prior to conquest. There are some good books out there on the Confederation of Kilkenny and the War of the Three Kingdoms if you have access to any university library. Also, as the OP said he was interested in 1798, Dr. Ruan O'Donnell has a couple of interesting works about 1798 and the guerrilla insurgency in Wicklow in the immediate aftermath. This classic book tells the history of eight hundred years of the Irish people's struggles for freedom. It takes us from the arrival of English settlers in the Middle ages up to the present day -the struggle in the words of James Fintan Lalor, to make "Ireland her own, and all therein, from the sod to the sky". 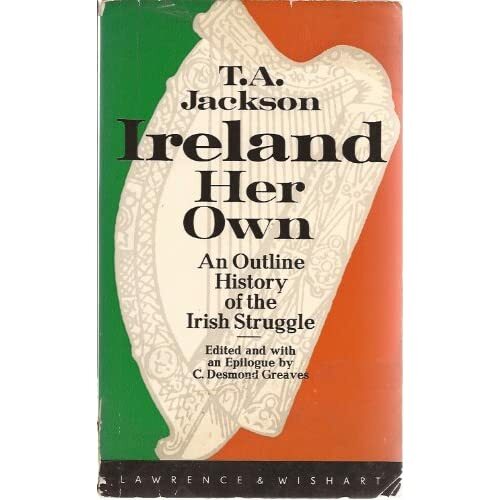 The author describes this book as 'An Outline History of the Irish struggle for National Freedom and Independence', but it is much more than that. As an 'Outline History' it has no equal, and for several reasons. In the first place this is the only book in which, right from the beginning and throughout it's pages, the economic factors are placed in a proper perspective alongside of and intermingled with the political. Many historians have written of this long struggle with pride and emotion, but none has produced anything so effective as this memorable account of every aspect of Irish social, economic and political history. It is not only a clearly and vigorously written history, but also a guide to Imperialism in general and an invaluable handbook for all students of politics whatever their opinions may be. Yes. Best outline history I have ever come across. I was recently told it was out of print, which would be a tragedy. Did you pick up a 2nd hand or have I been misinformed? Ireland and the Death of Kindness: Andrew Gailey. Constructive Unionism 1890-1905. CUP. A history of " killing Home Rule with kindness "
Everybody has heard the phrase, now's yer chance to read aout what it really meant. The Damnable Question. George Dangerfield A Study in Anglo-Irish Relations Quartet Books. I got it second hand off Amazon. Has never been read though. There seems to be a large amount of excellent books out of print. I had a lot of trouble getting my hands on Michael Farrel's Northern Ireland: The Orange State because of that. That's a blast from the past, read that when I was 10. Didn't even know what 'damnable' meant. Any wonder I'm weird now. read that when I was 10. Didn't even know what 'damnable' meant. There's some serious payouts now for parental abuse. Something that can be damned - or is there something I am missing? I suppose 5intheface had an exceptionally happy childhood. Er, sorry for not knowing what damnable meant when I was 10. 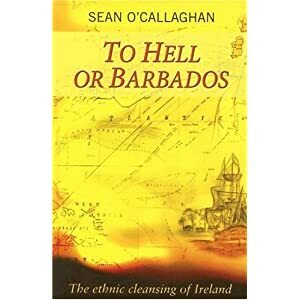 I've stuck this thread on recommendations for books on Irish history. Just came across this review on Slugger of Anthony McIntyre's "Good Friday - The Death of Irish Republicanism." I haven't read it myself yet. This was a book that I first reviewed at the same time as “Unionism Decayed” back in 2008. Like Vance’s work, it is the author’s portrayal of a defeated political movement or ideal and as a Unionist it was instructional to read an interpretation of the immediate post-Agreement period from the other side of the fence. It was also interesting to read it again three years later to see how much and how little Irish Republicanism, as preached and practiced by the Sinn Fein leadership, has changed. Despite his personal history and background (ex-IRA “blanketman”, imprisoned in his teens, served 17 years in the Maze), Anthony McIntyre’s writings and experiences have interested me for sometime. He is a leading voice for those within Irish Republicanism who have disagreed with the Adams Clique, arguing not for a return to the euphemistic “physical-force tradition” but a renewal of the Irish Republican ideals he believes the Sinn Fein hierarchy has abandoned.